I noticed that at least one ToolTip says something like "Windows 8 only". Just a heads up that you might want to search the whole project and find any references specifically to Windows 8. I was thinking of Win 10, actually. Maybe the wording could be "Windows 8 or later". Which setting's tooltip says that? 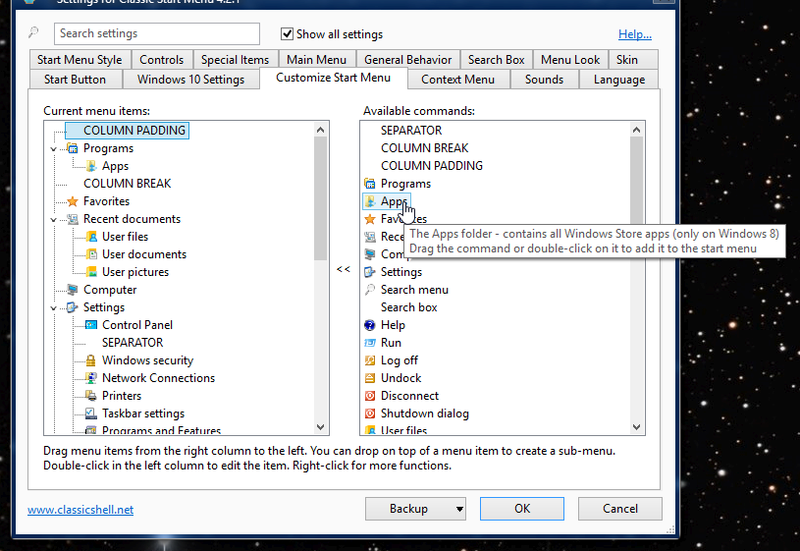 The instance I ran across was the Apps entry in the Customize Start Menu section (shown running on Win 10 build 10049). I was vague in my original post because a search of the sources would seem to be in order to turn up all cases of this class of issue. Yes good point. It could be replaced by "Windows 8 and later".